CARACAS, Venezuela - Venezuela's president says he's ordering the expulsion of three U.S. consular officials. President Nicolas Maduro made the announcement during a televised speech Sunday night that comes amid rising tensions in Venezuela over anti-government protests. Maduro hasn't identified the officials but accuses them of infiltrating Venezuelan universities under the cover of doing consular work involving student visas. The president has accused the U.S. of working with the opposition in trying to topple his socialist government. Washington denies it is trying to undermine Maduro. Maduro also says the country's ambassador to the Organization of American States in Washington received a phone call from the State Department warning that the arrest of opposition leader Leopoldo Lopez would have negative international consequences for his government. 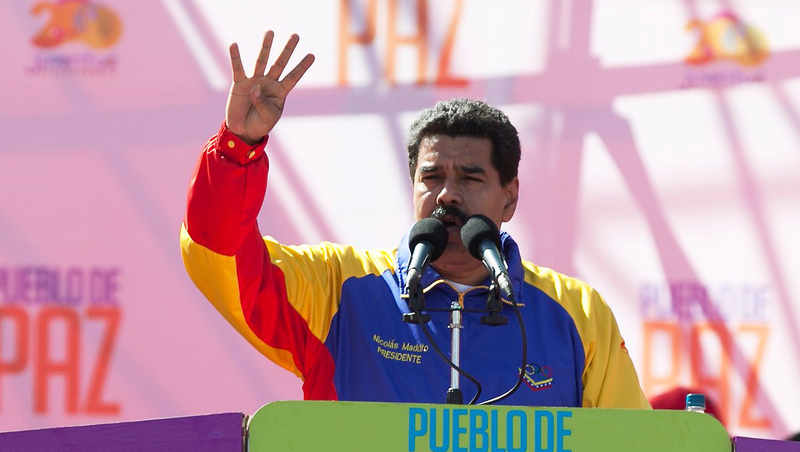 Maduro says he won't tolerate "threats" to Venezuela's sovereignty.